Want to make a Gingerbread Latte (Speculaas Latte in Dutch) at home, that tastes as good as the one from Starbucks? 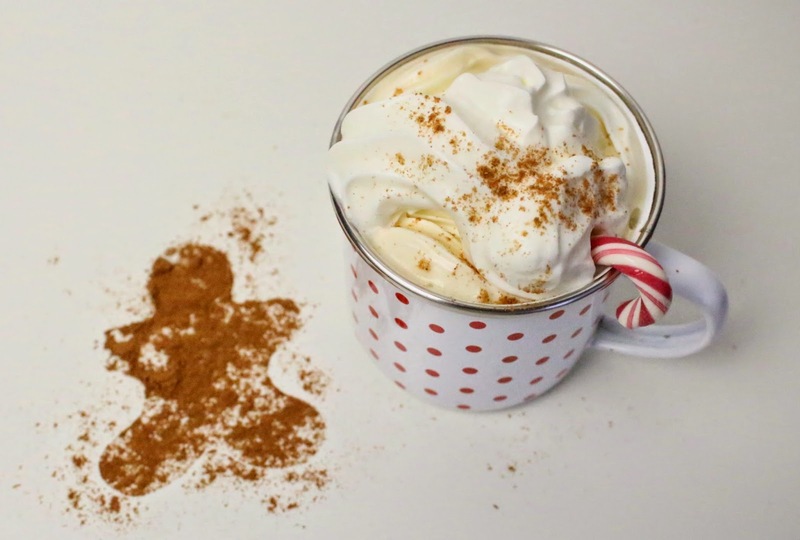 I've got an easy recipe for you, that includes homemade Gingerbread Syrup! Besides being delicious, the ingredients in the Gingerbread Latte are very helpful to keep you warm, because they promote blood circulation. Perfect for the Holiday season and beyond! Mix the Espresso with some Gingerbread Syrup, then top off with the hot Milk. Finish with some Whipped Cream and sprinkle a bit of spice mix on top. I added a Candy Cane, but you could also add a Gingerbread Cookie or anything else Christmassy for decoration! Combine ingredients for the Gingerbread Syrup (except vanilla extract) in a saucepan. Let it come to a boil on medium heat (stir regularly) and turn down the heat. Let simmer for 10-15 minutes or until mixture becomes thicker (like syrup) and keep whisking until the sugar dissolves. Turn off the heat and stir in the vanilla extract. When it has cooled off, you can store the syrup in a jar or container.